Banks are changing, but it's not entirely their idea. Instead, consumers are changing the way they use banks. In the wake of the financial crisis of 2008, banks began raising fees and implementing policies that led many consumers to stop using them. This “unbanked” or “underbanked” population was largely made up of people who could no longer afford to use a bank for a checking or savings account. Policymakers have expressed concern about this trend and have offered solutions to reverse it. Meanwhile, new research from Packaged Facts suggests this trend is growing. Joining those consumers who can't afford a bank account are consumers who just don't think they need one. Not surprisingly, Packaged Fact finds the latter group is largely made up of Millennials. Though they are opting out of checking and savings accounts, they are still finding some uses for banks. An analysis of the data shows Millennials are helping shape new banking models. The authors say this trend could be bad news for big banks that don't adapt. The report shows that consumers who don't want traditional checking and savings accounts are looking instead to internet and mobile-driven services. They tend to see checks as something their grandparents use. Instead, they prefer to access their money online. But that doesn't mean Millennials have completely walked away from brick and mortar banks. In 2008, 20% of the 18 to 34 year-olds classified as unbanked had used a financial institution for some type of product or service. That percentage had risen to 37% by 2015. This group of young consumers turned to banks for major loans, getting a prepaid card, getting a money order, and even cashing in rolls of coins. The authors conclude that young consumers aren't abandoning banks, they just want something different from these financial institutions than their parents want. 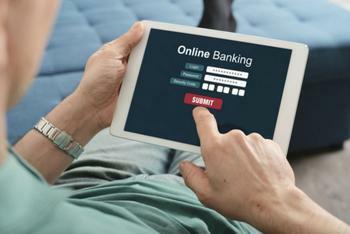 Earlier this year, the Consumer Financial Protection Bureau expressed concern at the number of unbanked consumers, pressuring banks to make it easier to set up a checking account. Specifically, it urged banks to improve the accuracy of the information used to screen potential customers. As is often the case, consumers have figured out work-arounds to conduct their business. As the Packaged Facts research makes clear, banks are the ones that now have to do the adapting.